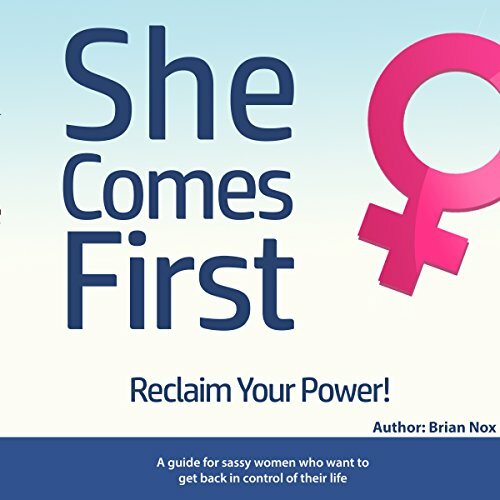 An empowering audiobook about standing your ground in dating, in marriage, in your career, and anywhere else. As an author and a coach who has been helping women for more than a decade, I noticed some women were in trouble, and not just in their relationships. Some had unfulfilling jobs, didn't get paid what they were worth, had always dreamt of starting their own business but never did, felt lonely even though they had a husband and kids.... The list goes on and on. So many women try to be the perfect girlfriends, wives, mothers, friends, sisters, colleagues, business owners, bosses, and more. They love to serve and want to succeed in the many roles they have to play. They are compliant, even to the people who don't really deserve that kind of treatment. They give it all they have, every single day. Regardless of their tremendous efforts, some women get little in return. They feel used. They get men that keep flaking out, careers that don't feel meaningful, and possibly a body that starts to feel and look more and more tired. Did you ever notice that burnout tends to afflict women much more often than men? There's a reason for that, as you'll learn. Some women seem to have found a loophole, a backdoor in the current system. There are women out there who have designed the life they live. I call these women high-value women. This value has nothing to do with money. It turns out the high-value woman follows a set of strategies and principles. I'll share them with you throughout this audiobook. I am divorced a couple of years and began dating 4 months ago. It has been 15 years since I last dated and I found that there is quite a relearning curve. An astute female friend of mine suggested I read this book so as to understand ‘high value women’, what they represent, be able to form realistic expectations about them and have a successful, long term relationship with one. This book is full of concisely delivered, crucially important information for ANY mutually satisfying intimate, long term relationship at any age level. I’m sorry that it wasn’t available to me when I was in my twenty’s. I have given copies to my 22 year old daughter and 26 year old son and both have remarked over their days of reading how it has been incredibly useful with positive outcomes for the relationship my son is in and the dateing my daughter is doing. I can’t recommend this book enough for women and men of any age. valuable, listened a few times! very valuable, listened a few times. would recommend to all ages ands stages! didn't realize being so nice and sweet was my problem! After finished his last book "F*ck Him" and impressed. I decide to give this book a shot. I purchased this book also because I always sense that there's something off about me but can't quite know how to address them. Brian turned the light on for me. In this book, Brain drew a picture of a strong will, self assure lady who knows her boundaries and limits and would like to protect them dearly. And he also give advice to practical steps to figure out what is one's bottom line. I think he did a pretty good job. A must book to listen! This audio book inspires me to go after my dreams. Please listen to this book you will not be disappoint it!. I really enjoyed this book. it was very helpful , enlightening and inspiring. I highly ecommend . From a lack of self worth to owning it. I loved this book, this book was speaking to me all of me, thank you! I was raised to be a good girl,and polite to everyone even if I didn't care for them myself, this book have helped me to realize that it's okay not to please everyone and it's not healthy to do such, as this can set you up to be a victim. Insightful and Powerful. A must read/listen! It is so refreshing to hear a male author speak on women's value and empowerment and to do so in such an intelligent and compassionate manner. Nox is not harsh or accusatory, nor does he candy coat anything or do the ever so common "female audience softening" that appeals to what I would call the "gumdrops and bundt cake" type woman. This book is for women, all women. It is a wake up call to our worth and a guidebook on establishing our own belief on that very foundation. Frankly it is one that should be read and re-read or heard and listened to over again at least annually until the lessons sink in. Suffice it to say I highly recommend this book and cheers to Nox for his insight into women and his willingness to share that insight with the world. Finished in 2 days. There was 1 point I disagreed w, but enjoyed this overall. This book has given me an awesome new perspective and mindset. A definite game changer for me and I’ve recommended to all my girlfriends! This book was filled with so much value and insight. It will definitely be a book I listen to again to remind myself of all that I learnt. Thank you Sir. Loved it! Lots of actionable tips and insights! There are plenty of things I was already doing, yet many more I learned.